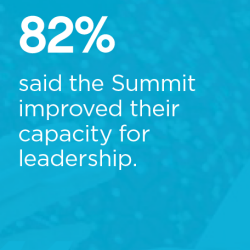 Our mission: To create the next generation of more effective and responsible leadership. The most urgent issues of our age are systemic, global and caused by a lack of leadership. 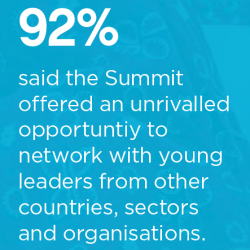 This generation of young people are the most connected, educated and informed generation in human history. 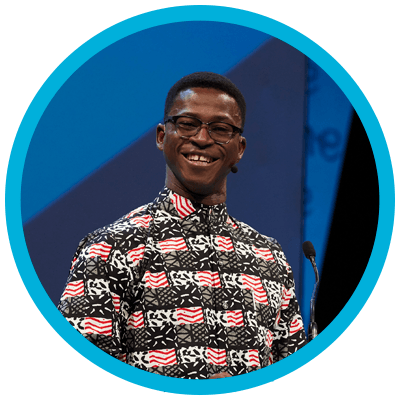 By making a gift to One Young World you are helping the next generation of world leaders access education, mentoring and professional support. 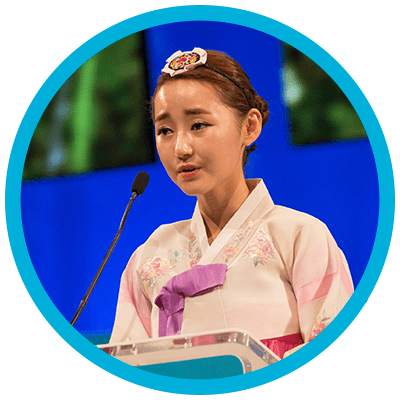 Yeonmi’s speech at the 2014 Summit detailing her escape from North Korea gained over 2.5 million YouTube views. As a result, she received global media attention and launched as a face for North Korean activism. This attention earned Yeonmi a global bookdeal with Penguin Press that enabled her to share her story with a wider audience. Yeonmi has played a part in high level engagements such as the House of Commons APPG on North Korea and the UN Human Rights Commission. Yolanda Joab runs the International Organization for Migration’s Climate Change Adaptation, Disaster Risk Reduction & Education Program across Micronesia, the Marshall Islands and Palau. 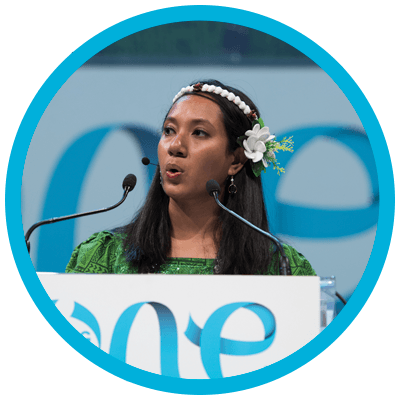 Since speaking on the 2016 Summit’s global stage in Ottawa, her home government in Micronesia has recognised her as a leader in climate change. She was selected to attend COP22 with her country’s delegation, which included President Peter Christian, where she discussed climate adaption strategies with global leaders. 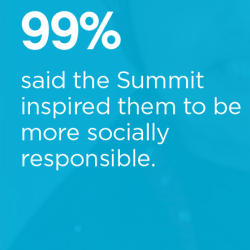 Young leaders go on to accelerate change through the One Young World community. Read the latest impact report.